Gee, mothers-in-law get a bad rap. Well, some do. Mine, however, is awesome, and I feel fortunate for her every single day. Not only did she give birth to an amazing son – she is amazing herself which, really, stands to reason. Our relationship is probably closer than my relationship with my own mother is, but it wasn’t always that way. It took time for trust to develop, and the way we interact with each other has evolved over the years, to the point where I can be perfectly honest with her at all times – and that’s something I hold very dear to my heart. I realise though that I am among the “lucky few” when it comes to mothers-in-law. But, I really believe that many (if not all) can be an incredible asset to families. So here are my suggestions for embracing your mother-in-law. First off, I suggest you take the time to find out the things that your mother-in-law likes doing. Maybe she’s super crafty and has tricks she can show you, perhaps she is an epic gardener and can teach you to strike a succulent like nobody’s business … or maybe you’re lucky and scored, as I did, a laundry-loving mother-in-law. Seriously, she folds those clothes like a machine! Grandmas love their grandbabies, and I don’t know many who wouldn’t jump at the chance to take them on a little outing. So, let your mother-in-law take your children to the park or playground, while you stay at home and have a cup of tea in blissful, peaceful … silence. Win-win! When your mother-in-law asks you if there’s anything she can do to help, don’t be proud and reply with “nothing”. Embrace her offer and graciously accept any food she is willing to make. Nothing energises a mother more than eating food that someone else has made for her, even if it is just a store-bought lasagne or a simple casserole. If nothing else, it will give everyone a giggle to spot similarities between her child and yours. Children love seeing what their parents looked like when they were little, and also find it fascinating to see what Grandma looked like before she became a grandma, too! Delving into the family archives can be a really enjoyable experience for the whole family. Keep it light when you and your mother-in-law are together. There’s really no need to delve into subjects like politics or religion if you want everyone to have a peaceful experience. Unless of course you are both on the same side and agree, in which case – go to town! Life is too short to get bogged down with negatives, so find things that make you both laugh, experiences you both enjoy and focus on those. Mothers-in-law are a fantastic asset to the family if they are respectful and are willing to play an active role. 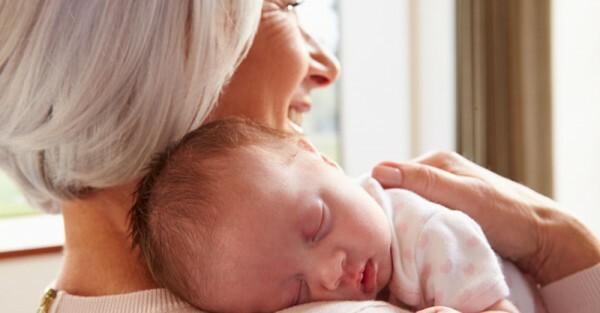 Even though it can take time to develop the relationship, mothers-in-law often have so much love and joy to spread not only to their grandchildren but to their daughters-in-law, as well. Have you hung out with yours recently?